A couple weeks ago I spent an entire week drinking Allagash Brewing beer including 2 different Belgian IPAs. This one has been in my beer fridge for a while after a friend picked up for me on a trip to Mass and I decided to give it a try. The packaging is beautiful with a very simple but effective label, white wax on the top and the Backlash brass knuckles pressed into the wax on top of the cap. A beautiful presentation and certainly something that will grab your eye if you are wandering the aisles. The beer pours a slightly hazy light copper with solid white head. Aroma has some herbal hop and plenty of Belgian yeast. 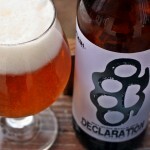 Aroma is much lighter than American style IPAs but still pleasant. Hops are the first thing you taste followed quickly by the Belgian yeasts and malts. 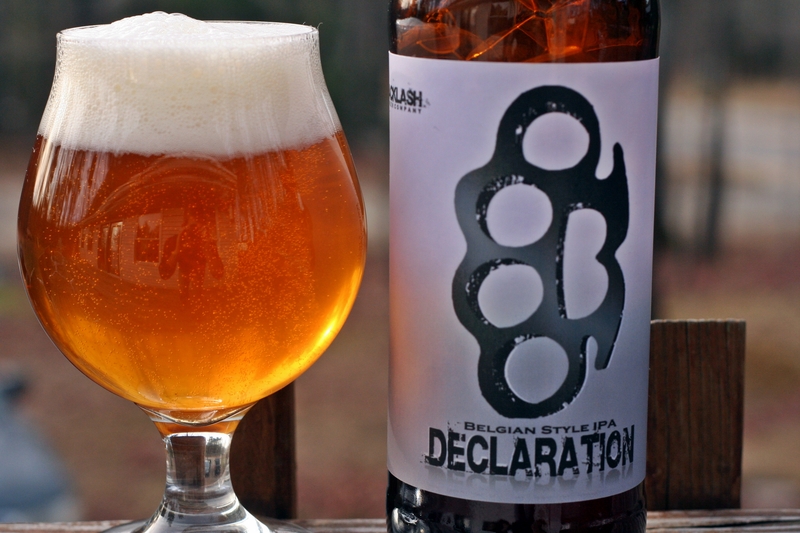 This beer is clean and refreshing for a Belgian style beer and the bottle was gone very quickly. 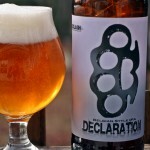 Really enjoyed this beer and looking forward to more from Backlash Beer Company. 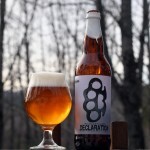 Brewers Description: Declaration is a Belgian Style IPA which packs a hop presence we’ve never seen in this style before. There is a massive hops profile from our heavy-handed dosing of American hops, yet still enough room for our Belgian yeast to make an appearance. 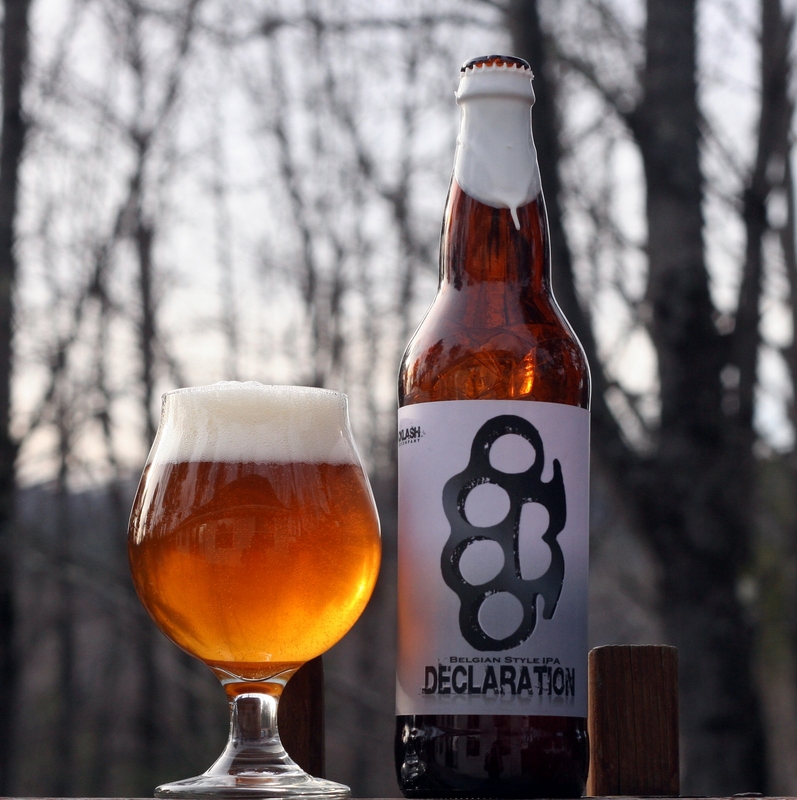 Dark golden in color and light in body, Declaration will dry you out and make you want more with each sip. 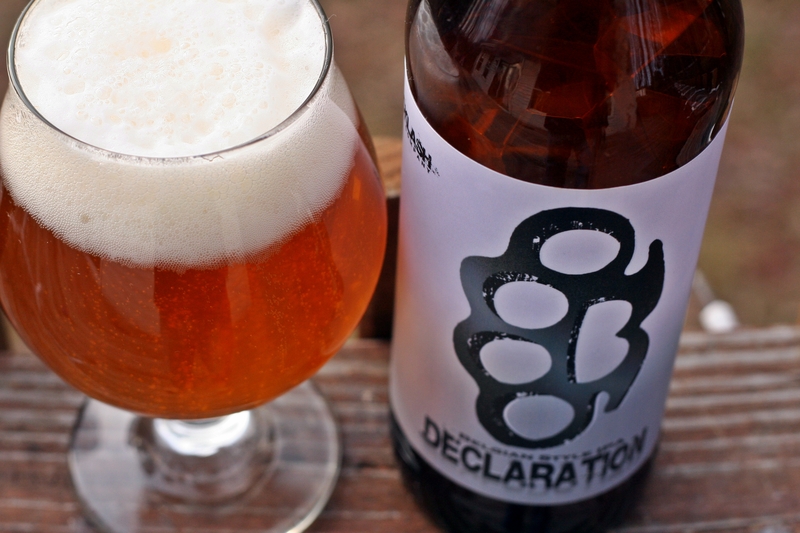 In fact, Declaration may just be one of the hoppiest Belgian style beers ever — but don’t take our word for it.